You’ve just returned from a fun-packed day on the beach and what better way to enjoy the summer evening than a sizzling family barbeque. Proper planning prevents below par performance. Prepping beforehand is the key to success; this could involve marinating your meats, dicing your veg and chopping your fruit. Try to get everything that doesn’t need to be done on the evening prepared in advance, allowing yourself to concentrate solely on the barbeque grill. First things first, make sure your barbeque husbandry is up to scratch; your grill should be scrubbed clean and the barbeque set up somewhere open and flat. With the grill rack removed, pour in your charcoal and bed in some scrunched up newspaper. To help get things going, add your odourless barbeque firelighters or squirt a healthy trail of lighting gel on top of the briquettes. Use a barbeque lighter or long matches to ignite your barbeque, standing slightly back as you do so and making sure any baggy sleeves are neatly rolled up. It’s important to light the barbeque in at least a couple of places to encourage an even distribution of heat. Once the coals are white hot, you might want to carefully layer them using your turner or spatula; this involves gently raking more of the coals to one side so that one half of your grill is hotter than the other half, ideal if you need a gentler heat to cook things like peppers or kebabs. Using oven gloves or handles, carefully house the grill rack back in place. Now you’re ready to get barbequing. One of the golden rules of barbequing is to make sure you oil the food before you place it on the grill to help prevent it from sticking. Once the meat has seared, it’s important to turn it little and often whilst staying alert for any signs of burning. 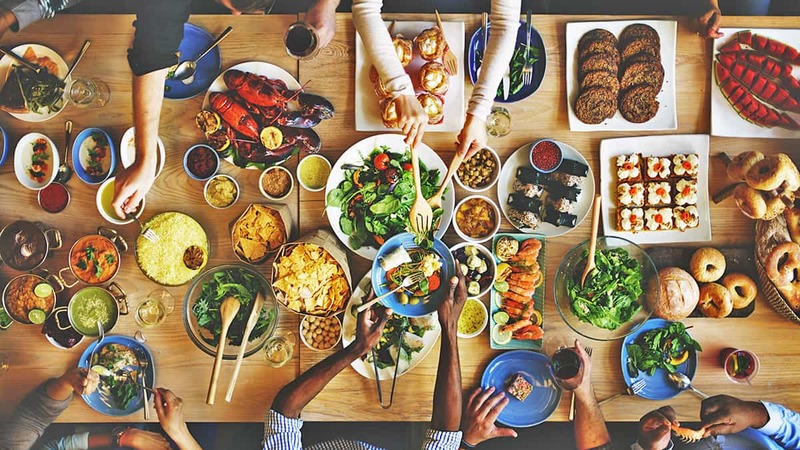 Don’t forget to cater for all your guests’ needs; you might decide to host a vegetarian barbeque and make up your own delicious tofu or bean burgers. There are stacks of vegetarian recipes out there for you to discover, as well as plenty of ready-made vege options to be found on the high street. Keep your guests topped up with refreshments and side dishes – anything from homemade lemonade to potato and chive salad – and make sure you have lots of toppings and sauces available. To really go to town, why not decorate your patio or outside dining area with lanterns, fairy lights and maybe citronella candles to help steer away any roving bugs. It’s also a great idea to have some garden games for the kids to enjoy to help keep them occupied; ‘swingball’ and lawn boules are two popular favourites. With the evening drawing, the bird song quieting and the odd disguised but satisfied yawn around the table, it’s time to start thinking about the clear up. Make sure the lid of your barbeque is firmly secured to the grill and close up the vents. It’s a good idea to softly damp down the coals with a fine water spray to help speed up the cooling process, alternatively, you could pick out any glowing coals with your prongs and drop them into a bucket of cold water. Be warned, coals can sometimes take up to 48 hours to cool off fully. 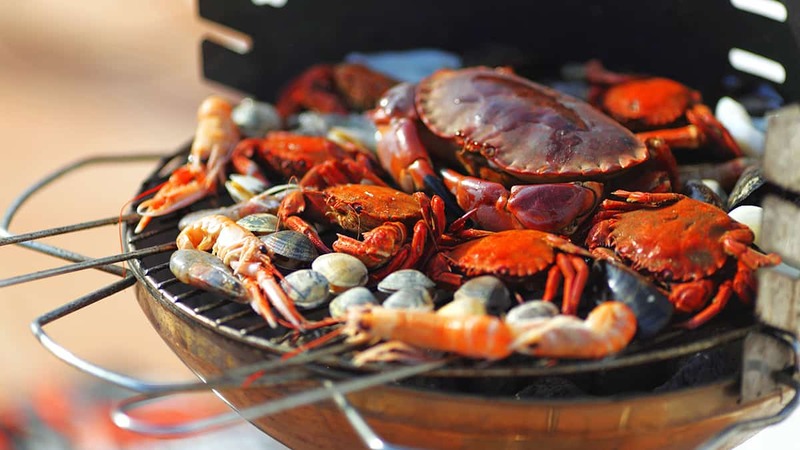 For extra information on barbequing safely, you can visit the Food Standards Agency and London Fire Brigade’s advice pages. Toad Hall Cottages have literally hundreds of holiday properties on our books, many of which have patios and terraces ideal for those blissful summer barbeques. Why not take a look at some of our latest listings and start planning your relaxing break in the glorious West Country – only don’t forget to pack the mustard!